The office of the Culture and Arts covers the three groups namely: the Kayam Ethno Band, the Budjong Ensemble and the Dulimbay Theater Arts Guild. The office facilitates for any invitation externally and internal communication for presentation with their respective crafts. It also brought with its performance within the campus, in the city and even in the regional and national competitions. The office of the Culture and Arts provides performances that promotes the blueprint of the Philippine dances which are Culturally based and original dances that can be found only in the Philippines. It also advocates the preservation of the Filipino culture, creating a valuable sense of artistry and establishing respect on individual and creates peace and unity. Is a singing group by nature, it adheres to the preservation of the soul inspiring music and tradition of the Philippines. The group shall pursue awareness to the community with regards to the community with regards to the encourage students to value individuals in accordance to their self happiness and promote entertainment to the school and society in general. Is the premier theatrical group of the Caraga State University advocating the preservation of the Filipino Culture, crafting a valuable sense of artistry and establishing respect on individual differences, further preservation of the cultural heritage and tradition of the Philippines. It pursue the awareness to the community regards to the cultural preservation. The group recognizes its vital role in helping the country's thrust on valuing Culture and Arts and encourage the students to promote respect on individual differences. 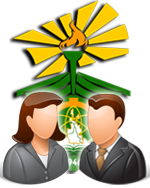 Is the premier band of the Caraga State University advocating the importance of arts and the variation of skills of every individual. The Kayam Ethno band is a modern band group by nature that adheres to the preservation of the music. It pursue to the musical preservation. The group also encourage students to promote entertainment to the school and society in general.